Abandoned Recreational Vessel Salvage - Global Diving & Salvage, Inc. 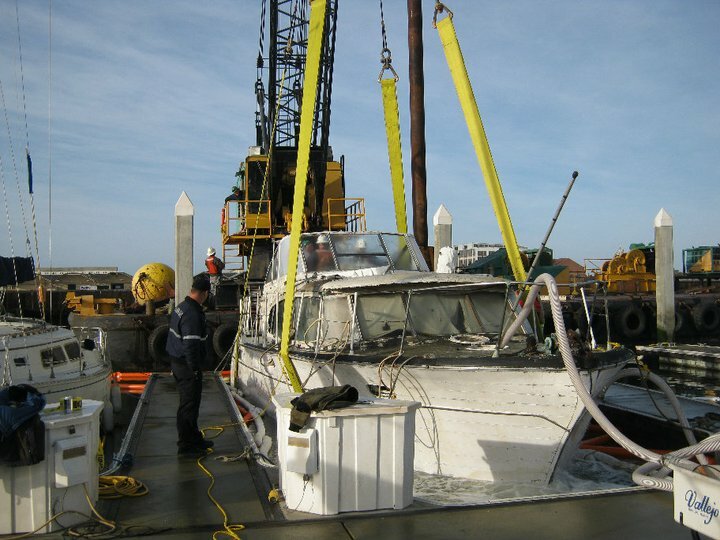 Global Diving & Salvage, Inc. was contracted by the Vallejo Marina to raise an abandoned 42’ vessel that sank at its mooring. Global’s crews also responded to pollution released as a result of the vessel sinking. Oil containment boom was deployed around the sunken vessel while divers placed heavy lift straps under its hull. CS Marine of Vallejo, CA provided a derrick crane which was used to raise the vessel to the surface. Once raised, the Global crew dewatered the vessel and conducted damage control. The vessel was towed to a nearby haul-out facility where it was demolished and properly disposed of.